Has your old garage door become difficult to operate? If so, 31-W Insulation has the solution to your garage door woes. Our company installs remarkable steel garage doors from the leading manufacturer Amarr® from homeowners in Jackson and throughout the area. With their durable steel construction, these doors can withstand high wind speeds and resist severe weather to help keep your garage safe. The door can take a beating and still operate well and look great. Plus, it’s easy to maintain, making it a hassle-free replacement option. 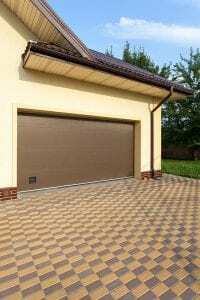 If your current garage door is old, it probably also provides poor insulation. This can be problematic if you’re using your garage space as a workshop, recreation room, or guest room. Our steel garage doors have different levels of insulation available, allowing to have a garage door that contributes to keeping your garage a stable and comfortable temperature year-round. The level of insulation isn’t the only thing you’ll be able to customize with one of our steel garage doors. You can also choose all the design features for your garage door so that it suits your aesthetic tastes. During a design consultation, our friendly associates will go over the available colors, woodgrain finishes, decorative hardware options, window pane options, and door styles with you and make recommendations that will help you achieve the look you want. Once you’ve designed your garage door, we’ll order it for you and then install it. At 31-W Insulation, we employ true professionals and never use subcontractors, so you can be confident that your job will get completed properly. You’ll be covered after the installation as well since Amarr® steel garage doors are backed by a generous manufacturer’s warranty. You don’t have to live with an ugly and broken garage door any longer on your Jackson area home. Contact 31-W Insulation to schedule a consultation to learn more about the steel garage doors we offer.